This week we’re kicking off our Pumpkin Research Project and learning about word families as well as working on addition to 5! Click the image to download my lesson plans! This week we’re kicking off our Pumpkin Research project! We went to the pumpkin patch on Friday as a kick off to our pumpkin research project and the kids are so excited to learn about pumpkins! As we kick off our pumpkin research project, we start with our schema map! We will add all of our pumpkin schema! As we continue our pumpkin adventure, we will add to our schema map with new learning! For the research part of our pumpkin research project, we do a read aloud and record all of our information on our thinking maps and class charts! The students then record the information in their pumpkin research journal! This week we’re doing a tree map and labeling the parts of a pumpkin with a brace map! 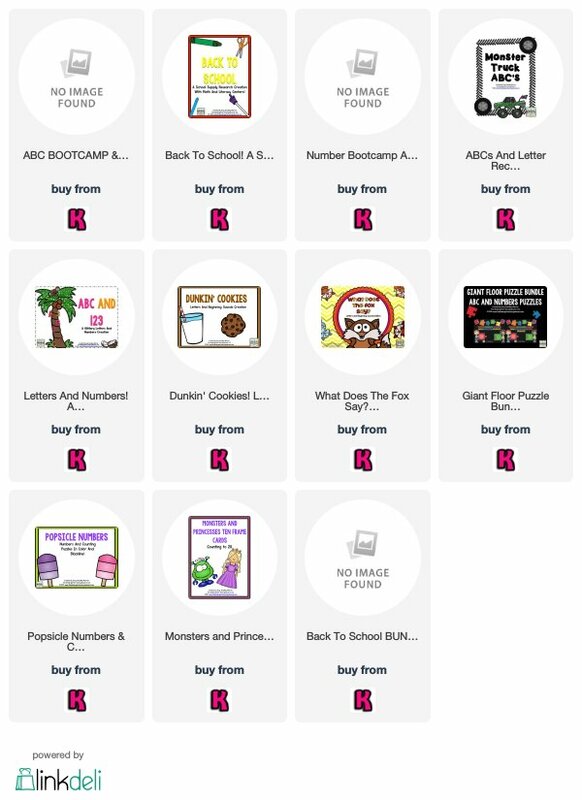 This week we continue with our TKS BOOTCAMP CURRICULUM and WORD FAMILY BOOTCAMP and learn to use our sounds from ABC BOOTCAMP to read and write word families! This is when we apply ABC BOOTCAMP to blending words and reading and writing words! Word Family BOOTCAMP works a little differently than ABC BOOTCAMP in that we do each of the word families for 2 days instead of 1. Day 1 is a circle map where we come up with words for the word families and day 2 is when we build the words and write the words. We do 2 word families each week. Friday is a word family sort for an assessment! Check out this blog post to see a video of WORD FAMILY BOOTCAMP in action! Visit our apple post to get all of these great freebies! This week we are continuing with addition. Yes. We are already teaching addition . Yes the kids get it. And then we practice addition each quarter until we can fluently add to 10 and add to 20! We introduced addition simply as put together. We started with fingers. Mr. Greg says “hold up 1 finger. Hold up 2 more fingers. How many fingers do you have?” That’s addition! On day 2 we do the same thing with manipulatives. And now we’re going to do lots more hands on practice! We’re starting with our infamous and much beloved and highly successful Get On My Boat! Now, you might know this as GET OFF MY BOAT which we use for subtraction. So we’re reversing that idea to practice addition! Click the image to see Get Off My Boat in action! You simply make a boat on the floor. I write an equation on the easel. I ask how many people should be on my boat. Then the other kids swim in the water around the boat! I yell “SHARK!” and they jump on the boat. Then we add to see how many people are on my boat! We’re also doing Shake And Spill to 5 this week using our red and yellow counters! We do it whole group with large counters made from craft foam! Then the students practice it on their own! Click the image for more details and to get your free adding to 5 recording sheet! This week’s Mad Science Thursday is Vanishing Ghosts! This week’s Mad Science is a new one for us! We will use bio-degradable packing peanuts (GET THEM HERE) and water! Use a Sharpie to put a face on the peanuts to make a ghost! Put the peanuts in warm water and BAM! Instant magic as they disappear! All of our science experiments are available in our Mad Science creation!